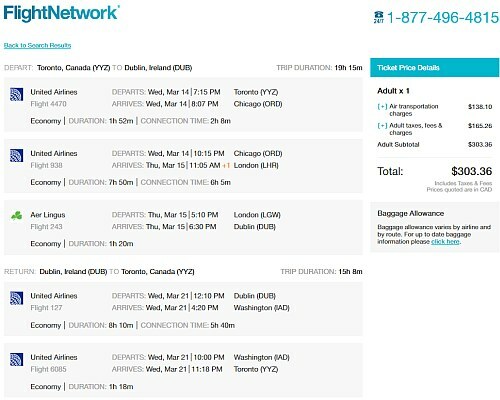 I'm seeing some interesting fares from Toronto to Dublin, Ireland for $303 CAD roundtrip over St. Patrick's Day. However, most of these flights require at least 1 stop each way, sometimes 2, using a combination of United Airlines and Aer Lingus - and are not the greatest flights, considering the non-stop options to Dublin that are available from YYZ. It's not clear whether these are a mistake or not, I'm only seeing them verify on a few booking sites. 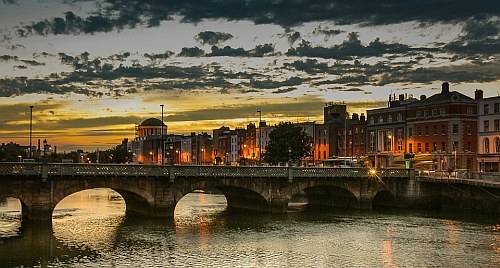 Nov 23 to Dec 4 - Shannon for $429 (13h/14h) Momondo to GoToGate. Update 9/20 - @ 11:30 AM EST - I've seen reports of some of these bookings being cancelled, while others were issued an e-ticket. toronto, yyz, flight deals, europe, northern europe, western europe, dublin, ireland, dub, united airlines, aer lingus, calgary and yyc.